Brace yourself! Jeffrey Robbins is all about the New Materialism and he is going to knock your socks off! 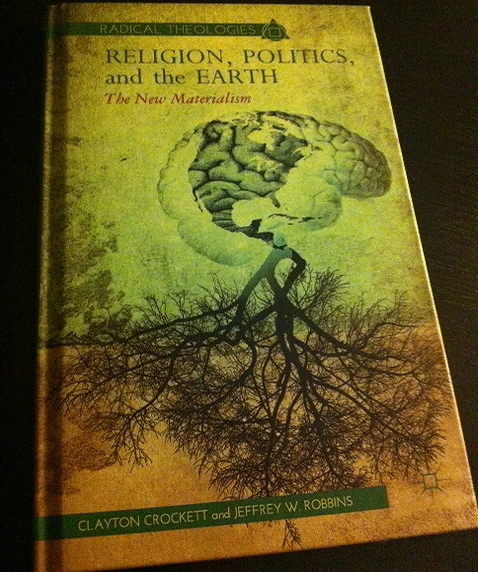 Tripp gets to chat with the co-author of the book “Religion, Politics and the Earth” (along with pod favorite Clayton Crockett) that is making its way around the inter-webs in preparation for the Subverting the Norm Conference – April 5 & 6 in Springfield, Missouri. We will be linking here to all of the posts from the New Materialism blog-tour. This episode is sponsored by the Subverting the Norm Conference 2 in Springfield Missouri April 5th and 6th. Thanks to both Drury University and Phillips Theological Seminary for sponsoring the conference and making it the most affordable two-day event of the year.